Pandora is launching an on-demand music streaming service to rival Spotify and Apple Music. Pandora has built a massive fanbase with Pandora Radio, and the company clearly hopes that that brand awareness will help Pandora Premium succeed despite arriving very late to the party. 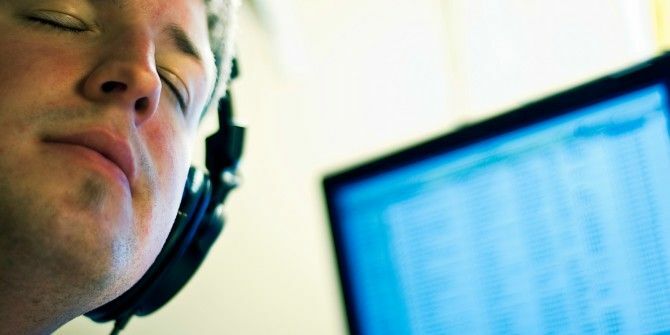 Pandora has, for almost 20 years now, been offering internet users a personalized radio station they influence by giving songs a thumbs-up or a thumbs-down This Smart Trick Keeps Your Pandora Stations Fresh This Smart Trick Keeps Your Pandora Stations Fresh Pandora is a great music service, but sometimes your stations get a little stale. Here's an easy way to improve them without any effort. Read More . Even though Pandora Radio is only available in the U.S., Australia, and New Zealand, it currently boasts 80 million active users. That’s 80 million people Pandora now hopes it can persuade to pay for Pandora Premium. Pandora Premium is an on-demand music streaming service in the same vein as Spotify and Apple Music. For the same $9.99-per-month price that seems to be standard across the industry, you’ll be able to play any one of 40 million songs as and when you want. Pandora Premium builds playlists based on one or two songs of your choice, using The Music Genome Project that powers Pandora Radio. Every song you have ever given a thumbs-up will be waiting for you. And you can download songs, stations, and playlists to listen to offline. Pandora Premium is available now on Android, iOS, and Chromecast, with Pandora promising to add support for other platforms in the future. Existing Pandora Plus subscribers will get six months of Premium at no extra cost, while everyone else can sign up for an invite at pandora.com/premium. With several music streaming services already well established, Pandora Premium faces an uphill battle to succeed. While it does have brand awareness and a dedicated fanbase on its side, it really needs to offer something different from the competition Amazon Music vs. Spotify vs. Apple Music: Which Is Best for You? Amazon Music vs. Spotify vs. Apple Music: Which Is Best for You? This comparison of Amazon Music Unlimited, Apple Music, and Spotify, will help you find the best music streaming service for you. Read More . And it’s not yet clear how it’s going to differentiate itself enough to stand out from the crowd. Do you regularly listen to Pandora Radio? Are you likely to try Pandora Premium? Do you already subscribe to one of its established rivals, such as Spotify or Apple Music? If so, what will tempt you to switch to Pandora Premium? Please let us know in the comments below! Explore more about: Apple Music, Pandora, Spotify, Streaming Music.